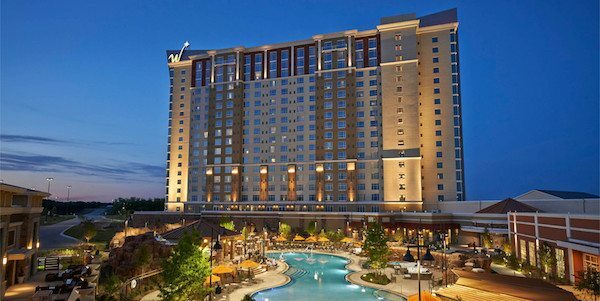 Pack your bags and head to WinStar because this summer is heating up! We’ve packed so much excitement into the next few months, it’s destined to be the best summer WinStar has ever had! We’ve already experienced some of the summer’s best with shows from Rascal Flatts, Sammy Hagar, Jerry Seinfeld and the incredible Midwest Slam World Long Drive qualifier… but we’re only getting started! August 25 and 26, two of our favorite performers will be at The Colosseum at WinStar – Steven Tyler & the Loving Mary Band and Keith Urban! Buy your tickets for Steven Tyler today because the show is selling out fast, and Keith Urban has already sold out! The performers are amazing, and the Colosseum – our outdoor stadium that holds 9,500 people – is the prime location to enjoy your favorite shows with your family and friends. Sounds like a winning combination to us! The Colosseum at WinStar is also home to the Professional Bull Riders: Build Ford Tough Series on September 2 and 3. Come enjoy the “toughest sport on dirt” under the stars. And while you’re here, don’t forget about the “Cowboy Up” themed Weekends After Dark pool parties. As if summer wasn’t already hot enough, be sure to check out the incredible Hot New Games areas in the casino. Just a few months ago, we opened up a second Hot New Games area in the Vienna Gaming Plaza. It is the perfect place to get your feet wet and test out something different! These games are all new and exciting and the perfect place to start when you visit the casino. Finally, end your summer with one of our favorite events of the year, the Volvik World Long Drive Championship! The 2016 World Long Drive was nothing short of amazing, so we can’t wait for the championship to return September 5 and 6. Also, the women’s competition will be televised live on Golf Channel for first time ever this year! If you’ve never seen the competition in action, don’t miss it this year! Book your stay and get ready for the summer of a lifetime! We’ll see you soon!